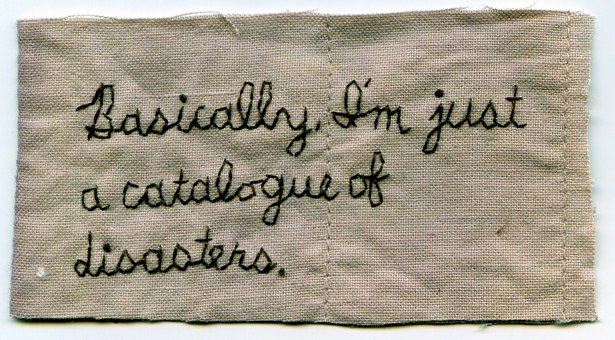 “Basically, I’m just a catalogue of disasters.” 2012. Embroidery on fabric dyed with onion skin. Borrowed text. 2″ x 3.75″.